The CANM8 CANNECT PARK ONE (24V) is a CAN Bus interface that provides accurate control for equipment that requires a control signal within a specific speed range. This interface is specially adapted for HGV use and provides an output between 0 - 15 MPH as standard. Please enquire as other speed versions are also available. Speed > 24v (1A max) when the vehicle speed is 0 - 15 MPH. 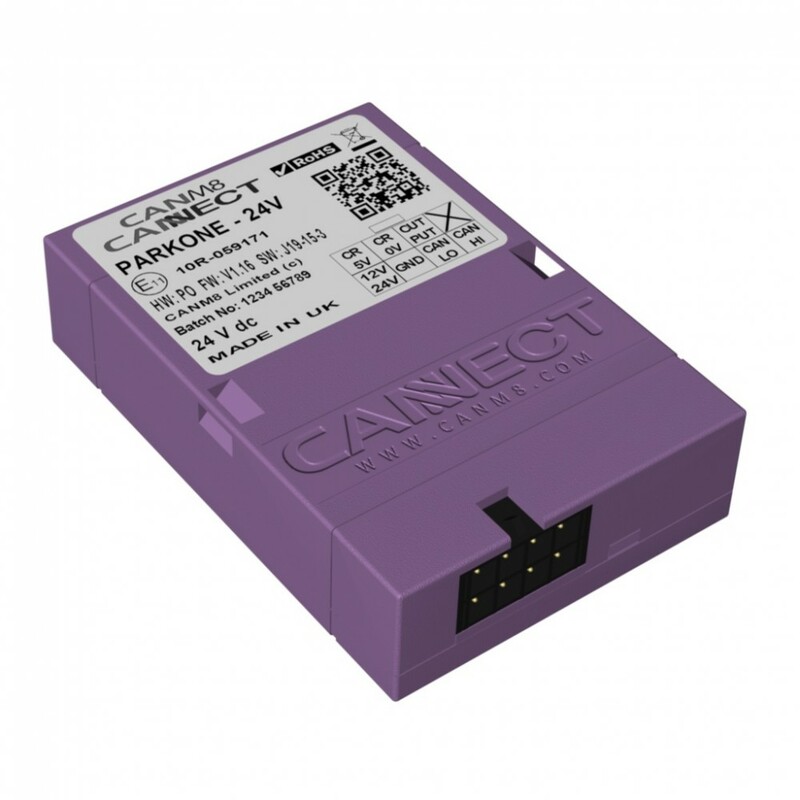 The CANM8 CANNECT PARK ONE (24V) is ideal for installing after-market front parking systems, side view systems and other equipment that requires a control input when the vehicle speed is between a specific range. RED > Connect via a 5A fuse to a PERMANENT 24v supply. PURPLE > Speed Dependent Output : 24v (1A max) when the vehicle speed is 0 - 15 MPH.